Misr International University is announcing its annual Welcome Party which will take place on Thursday 9th of November 2017, at 6 PM. 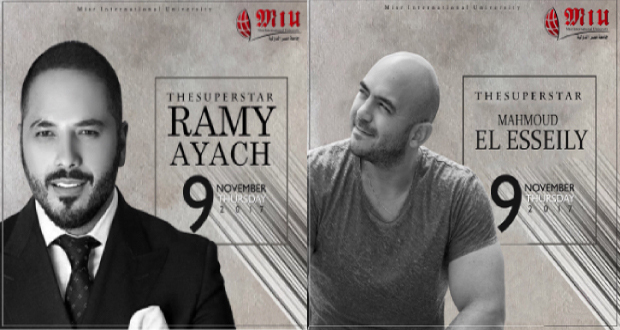 The concert will be performed by Ramy Ayach & Mahmoud El-Esseily. The university will only allow current MIU students and Alumni to attend the performance.